As Brazil continues to battle a historic drought, millions of people in its largest city are about to run out of water. São Paulo, home to around 20 million, is experiencing its lowest rainfall since 1930, and new water-saving measures have been introduced in an attempt to manage the escalating catastrophe. Services including schools and hospitals are having to adapt to the country’s newfound water struggles, with The Telegraph reporting that doctors have even been forced to cut short dialyses treatment for kidney patients. Though there has been a recent uptick in rainfall in the region, it hasn’t been enough to boost supply in a country nominally the most water-rich in the world. Current reserves stand at just 10 per cent – known as the “dead volume” – and the government has warned that it could get worse in the coming months. 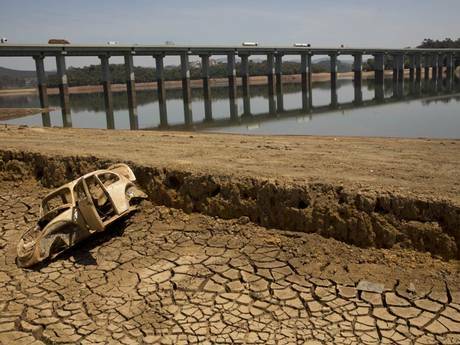 Professor Decio Semensatto from the Federal University of São Paulo has likened the current water situation to a “semi-desert”. With the water crisis likely to last for years, Semensatto sees the testing of solutions as “training for the next few years, which will be worse”. He holds water utility Sabesp responsible; it has known for years that drought-like conditions would soon arrive, but took few preventative steps. The current crisis has reached a point that actual water rationing may be necessary, with state governor Geraldo Alckmin last month admitting it was already happening. Brazil is not used to such scarcity, but São Paulo is fast getting used to way things have to be run; there are incentives to use less water, fines for those who use too much and the possible installation of more water-efficient taps. Sabesp will see if such steps can make the difference before it decides whether to formally introduce wider water rationing — it refuses to rule it out. ← Pakistan: come è morta la giornalista di “Reuters” Maria Golovnina?